Earth Day is just round the corner! In view of the upcoming cleanup at Tanah Merah on Apr 28th, 2012, Tanah Merah Zone captain: Benjamin Tan, Deputy Coordinator: Xu Weiting (formerly ICCS Tanah Merah Zone Captain) and I headed down to TM on the 14th of April to meet the organisers who will be involved in this Earth Day effort! TM site 7 from a distance - A rather pleasant sight. 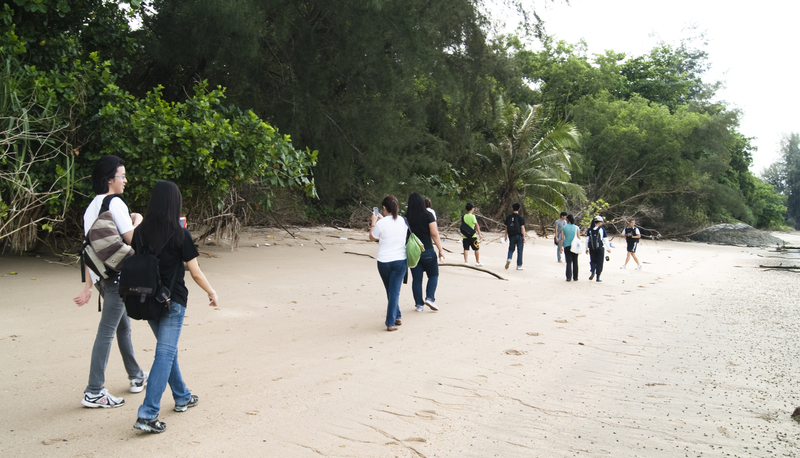 After a slight delay, we finally set off to recce the beach! Benjamin briefing the organisers before we set off! 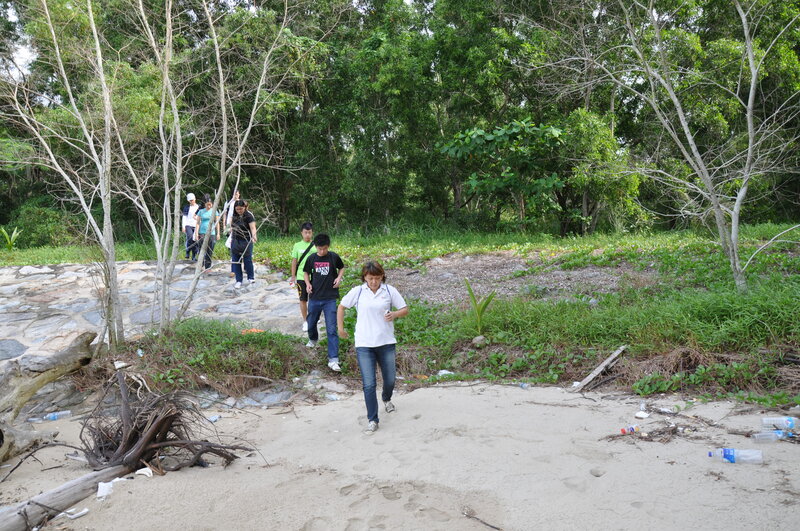 Annie Layar, from Gammon Construction Limited (Singapore Branch), leading in the front! 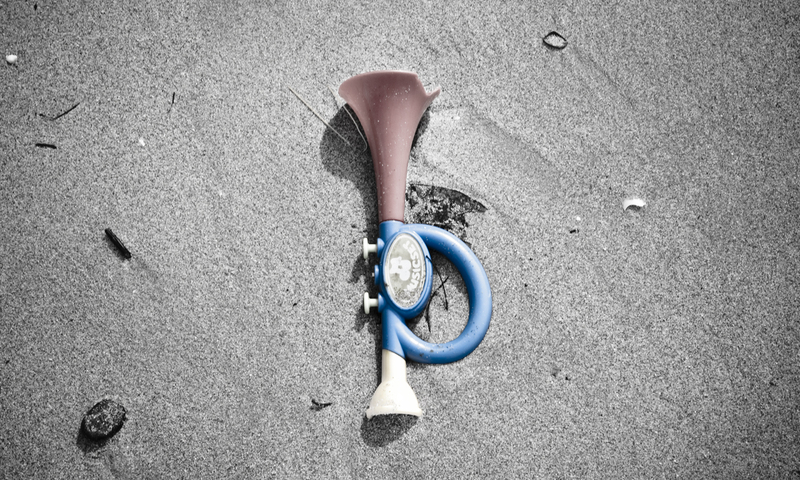 The shore may seem bare, but the truth is far from it! Weiting holding the hermit for our friends to take a closer look! These hermits are more active at night. Unlike true crabs with short calcified abdomens, hermit crabs’ abdomens are soft, long and curved. 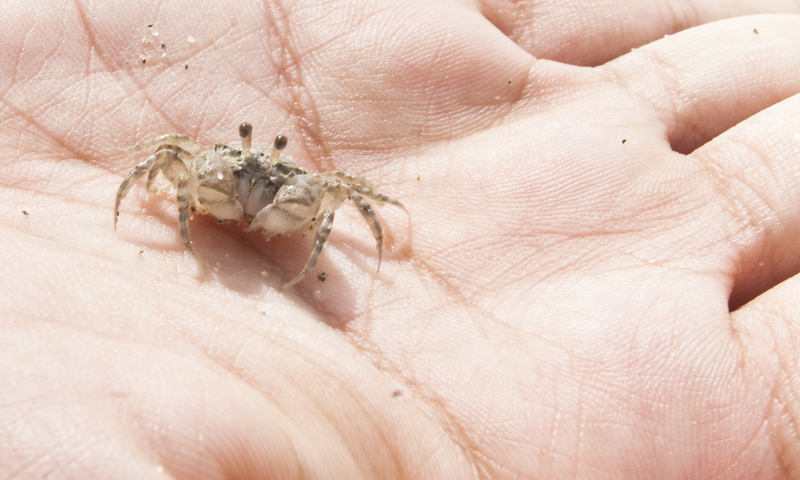 Because they lack their own hard shell, hermit crabs inhabit shells for protection against predation. 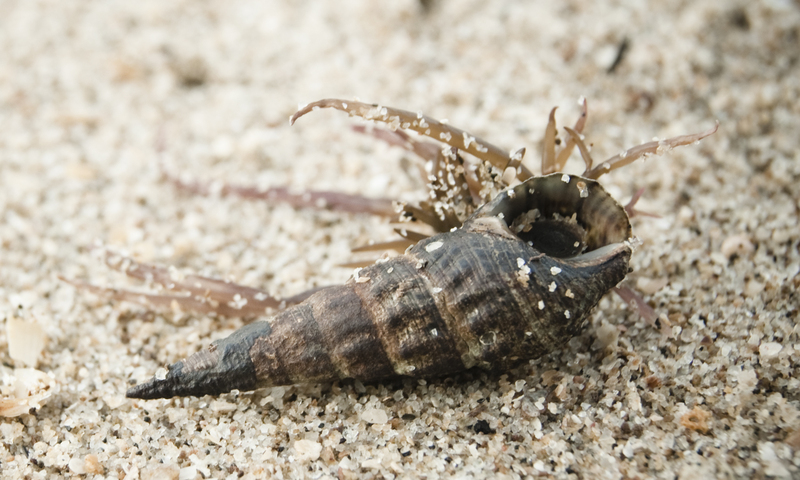 When a hermit crab outgrows its shell, it shops for another. They can be picky about the shells they choose. 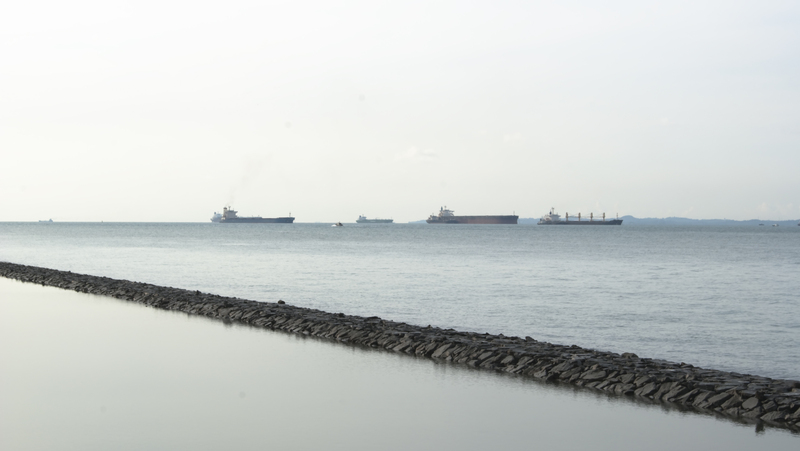 Witness the “Great Shell Exchange” as documented by Ria Tan on her blog. 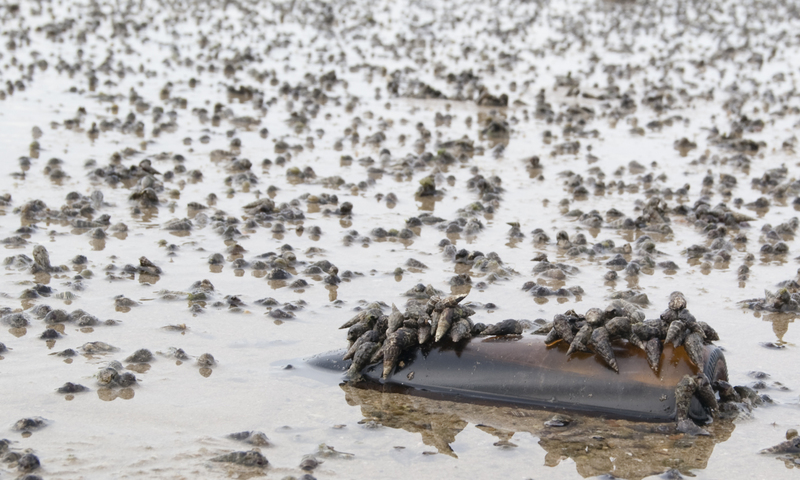 Land Hermit Crabs are currently listed as ‘Vulnerable’ on the Red List of threatened animals of Singapore. 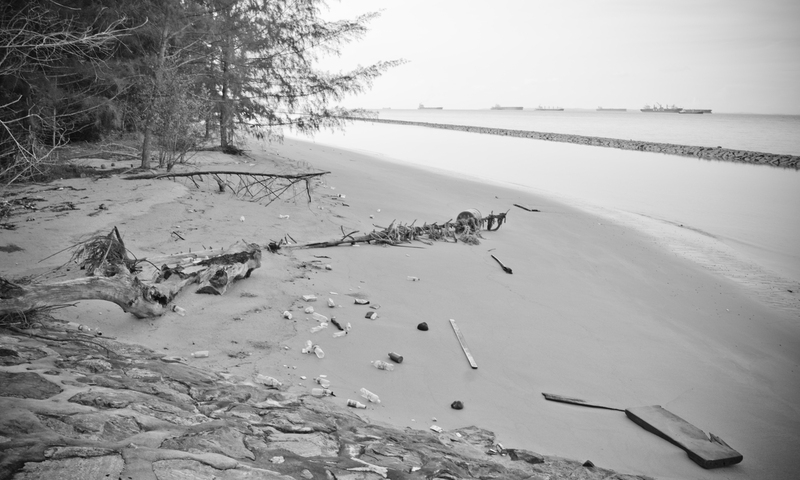 They used to be fairly common until, according to the Singapore Red Data Book, the implementation of many beach improvement schemes along recreational shores, which led to the clearance of ‘unsightly’ natural beach vegetation. 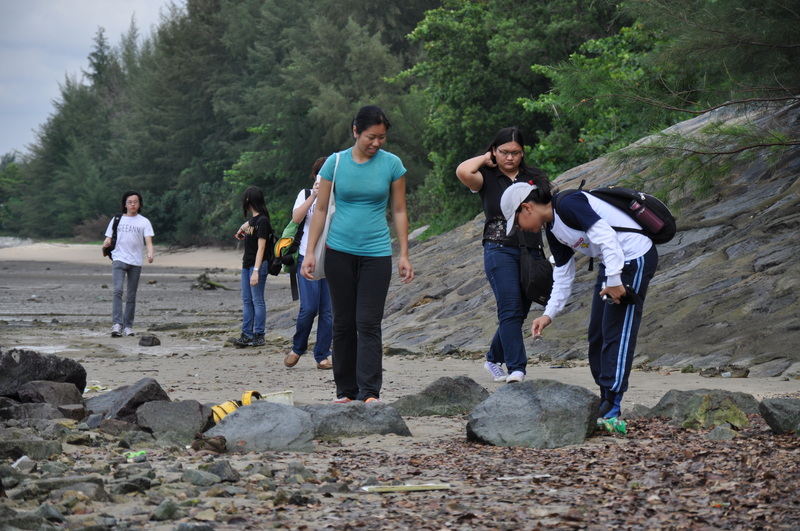 Other factors that could have contributed to the decline of Land Hermits, especially on mainland Singapore, include the casual picking of shells by collectors as they strolled along beaches, as well as the pet trade. 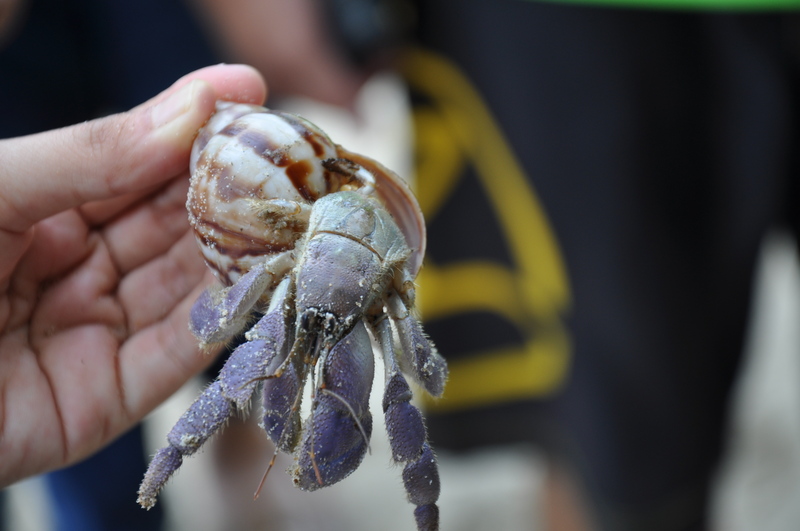 Read more about Hermit Crabs here and on Ria’s wonderful WildSingapore Factsheets! 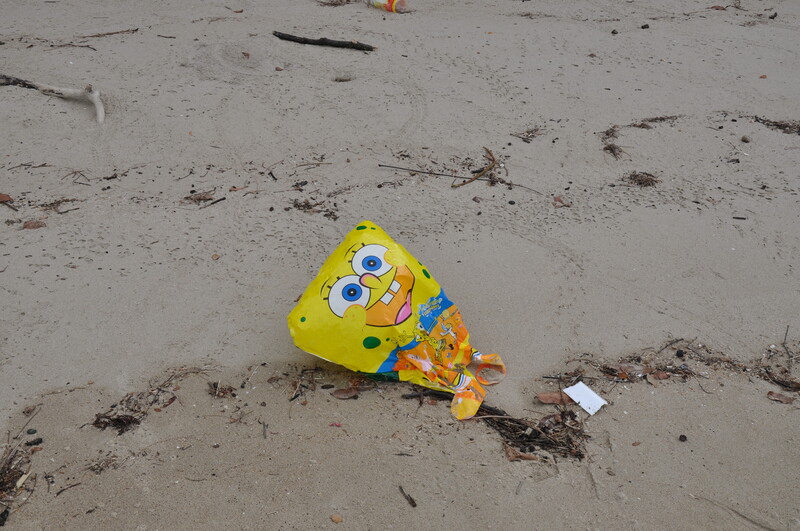 A balloon cleverly disguised as Spongebob - Not a true sponge! In other news, ill-disposed balloons, which eventually end up in our waters, are devastating to marine life! Like plastic bags and other discarded non-biodegradable trash, balloons can end up being ingested (albeit accidentally!) by turtles, and other marine life surrounding our waters AND those thousands of kilometres away. Yes, our disposable culture implicates life on a global scale! 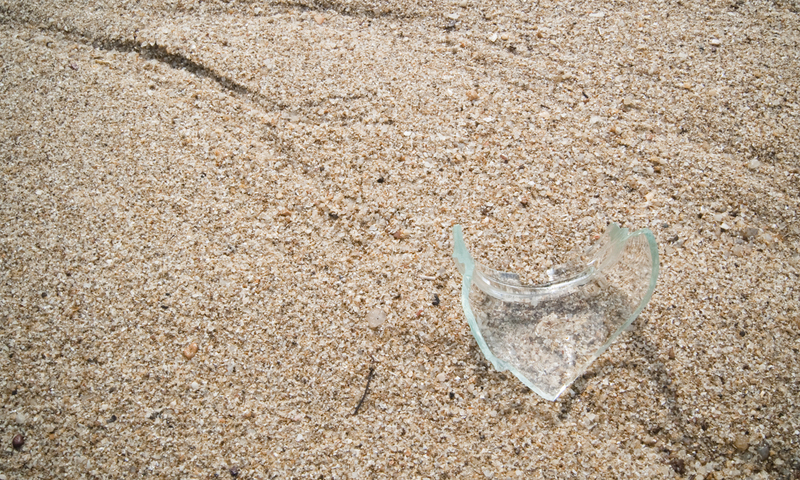 During the recce, we saw quite a number of broken glass bottles, florescent tubes & other glass fragments. 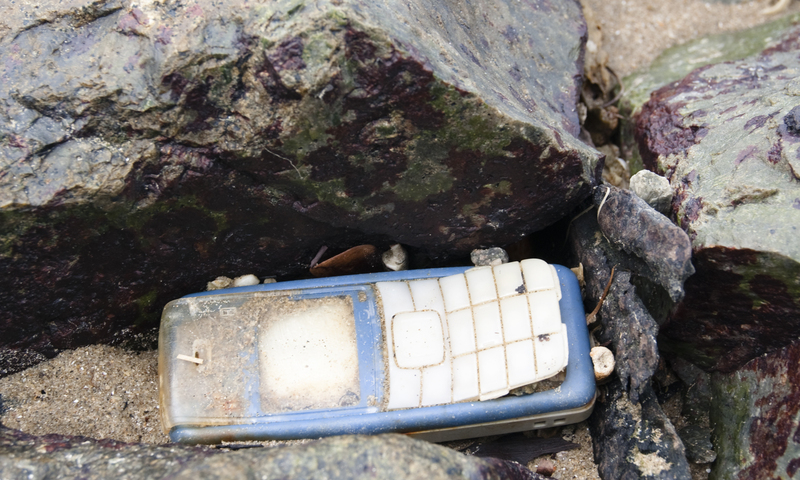 Do look out for these items and do not pick them up with your bare hands! 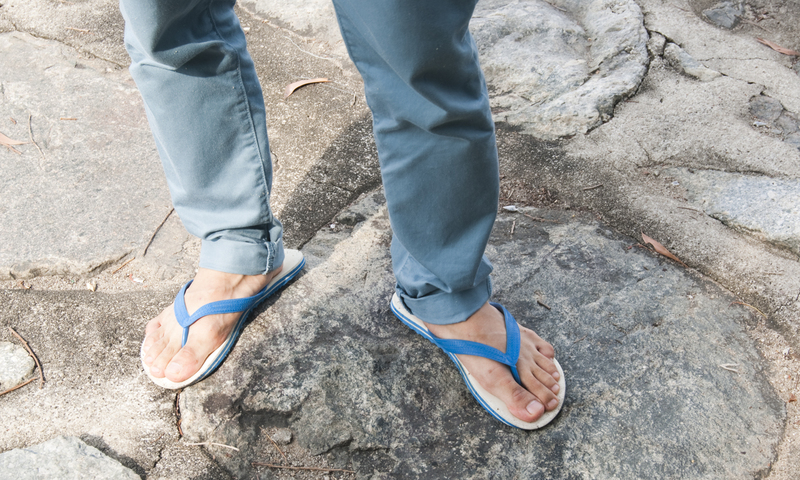 And for safety reasons, we’ll NOT allow volunteers to help if they are not wearing covered shoes. 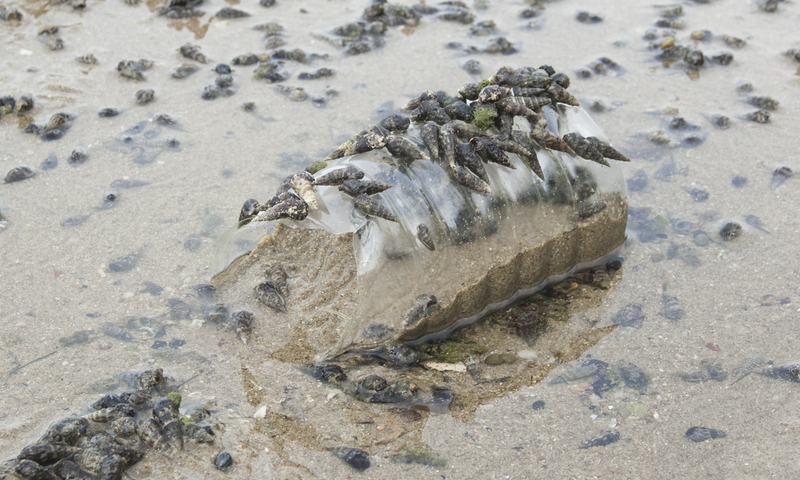 During the beach cleanup, you may come across a myriad of seashore creatures. Please treat them with respect, and let us not forget that we’re the ones swinging by their neighbourhood! 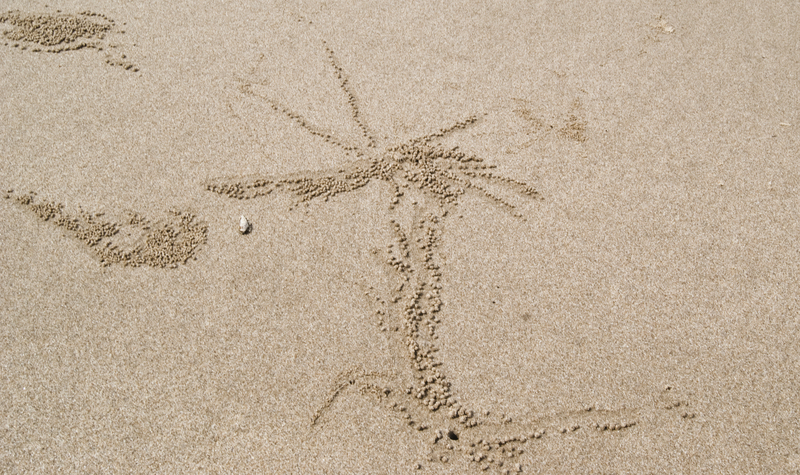 Just a mosaic of sand grains? 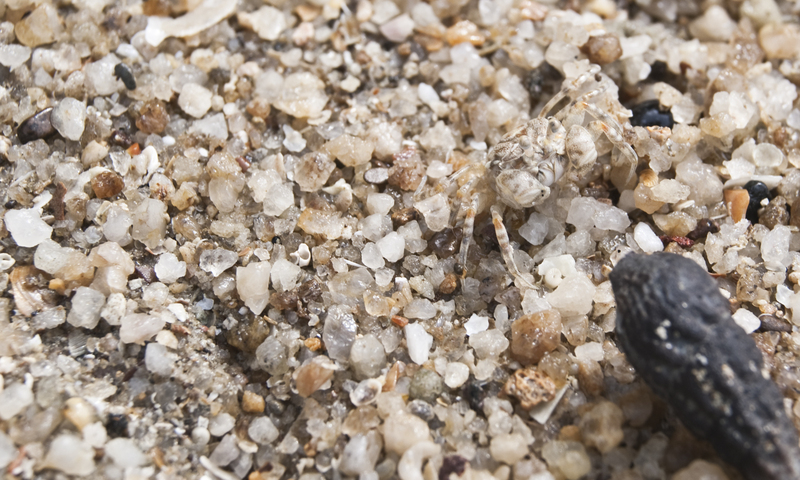 Sand bubbler crabs are tiny and so well-camouflaged to its environment that we often miss them! But just because we don’t see them, doesn’t mean they’re not there! Their quality of life lies in our hands. Independents, sign up today – get your friends to join you too! 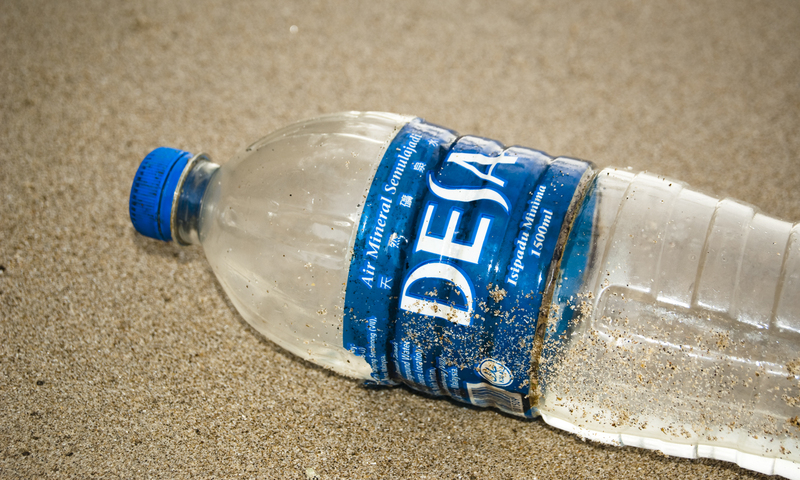 Bring your own bottles of water! Every day is Earth Day. Make a conscious effort to live more sustainably and Mother Earth thanks you! Will you answer our call? For answers to FAQs, do circulate this link http://tinyurl.com/yrcc-faq to your fellow friends & colleagues. 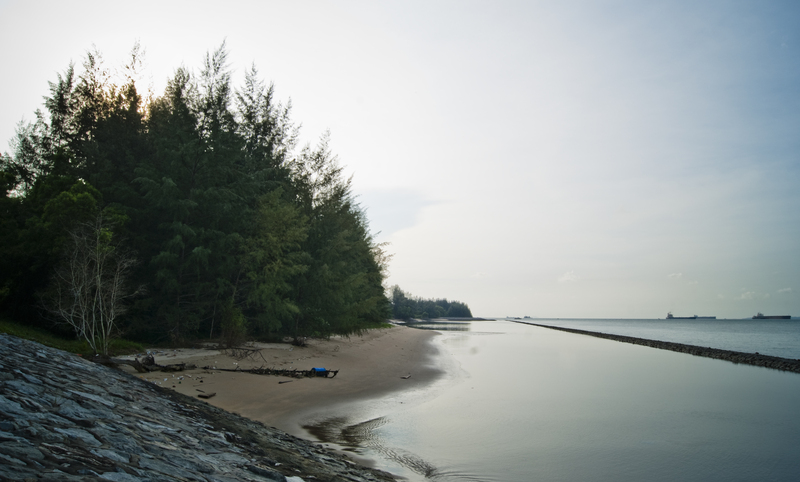 This entry was posted in earthday, independents, marine life, organiser, tanah merah, year-round. Bookmark the permalink.